Click here to access downloads of the Meraki Travel logos and image bank. In our opinion, some of the more unexplored destinations in northern India have some amazing and unique experiences. This trip is a great option for people on their second trip to India or you could add it to the Golden Triangle for a more immersive first time visit. We recently sent out our Senior Product Executive to explore the Himalayan foothills region. A highlight of her trip was the historic city of Amritsar and a visit to the dazzling Golden Temple - the most important Sikh shrine in the world. She stayed in Character hotels, including the beautiful Ranjit Vilas in Amritsar. Her journey continued to the hill city of Shimla, which is where the British used to settle in the summer months due to the cool mountain climate. If it’s epic views and breathtaking mountain scenery you’re after, a ride on the UNESCO World Heritage Toy Train is an absolute must. 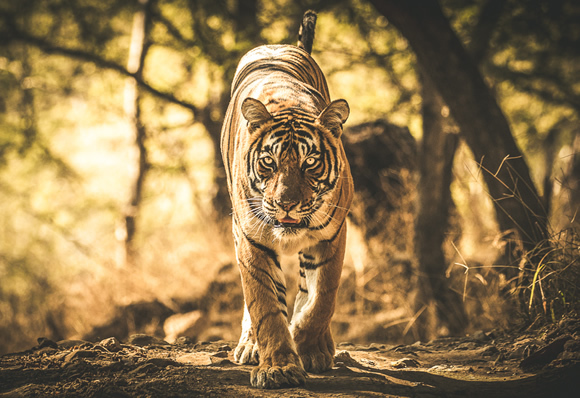 After exploring the sights and sounds of Delhi, our Senior Product Executive headed south to Madhya Pradesh to see India’s most famous predator – the Bengal tiger. While we offer the opportunity to see tigers at Ranthambore in our Classic India itineraries, there’s a slightly better chance of spotting them in Bandavgarh and Kanha National Parks. There’s much more to see than just big cats though – India’s parks are home to an abundance of other wildlife, including elephants, monkeys, leopards and water buffalo, plus a wide variety of birds and plant life. Her Indian adventure concluded in the bustling Bollywood capital, Mumbai. A tour of the Prince of Wales Museum is a great way to brush up on your knowledge of the country’s history, after which you can explore the rest of the city at your own leisure. We’ve chosen this itinerary because it covers all the destination highlights, wine and wildlife into a two week trip - and you can travel at your own pace with the self-drive option. Starting in Cape Town, there’s so much to see and do here. The Hop on Hop off bus pass is the best way to get you from the harbour to Robben Island and Table Mountain to name just two. Adding in a cooking class in Cape Town is a nice option here, great for a foodie when you think of all the delicious seafood on offer! Next stop is the wine country. Enjoy three nights relaxing and sipping on beautiful wines in Franschhoek. We’ve included a bike tour of the wine lands – yep, cycle your way from vineyard to vineyard. 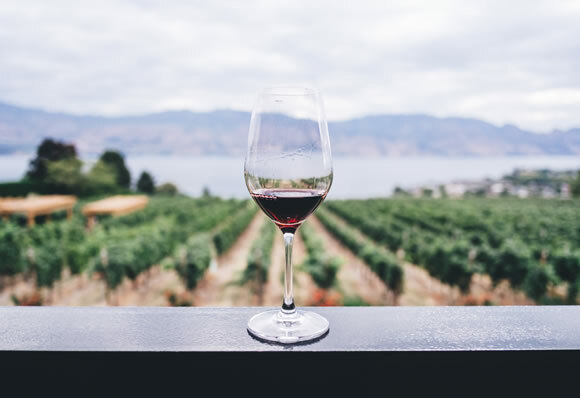 It’s a fun way to get around and take in some of that sweet fresh air – you might need it after a few glasses! Visit the Cango Caves on an overnight pit stop to Oudtsthoorn, then onwards to Plettenburg Bay for your last foodie experience – Wine and Tapas pairing, delicious! Your South African experience wouldn’t be complete without the thrill of a safari. The Eastern Cape is just a short drive from Port Elizabeth and is your opportunity to see the Big 5 – Lion, Elephant, Rhino, Buffalo and Leopard. Our premium Kariega Ukhozi Lodge offers the full experience, from excellent accommodation to game drives with a local knowledgeable guide. The animals are most active at dawn, so be prepared for early starts. This leaves you plenty of down time later in the day to relax and enjoy the pool – I promise you, it’s absolutely worth it!